“WATCH! FOR THERE IS COMING AN EVEN GREATER SHAKING AND SHIFTING IN THE NATIONS OF THE EARTH, WATCH! FOR MOUNTAINS WILL BE UPROOTED AND REMOVED AND THE WATERS OF THE SEAS WILL BE GREATLY STIRRED UP, WATCH! FOR THERE WILL BE MORE EARTHQUAKES, ERUPTIONS AND TSUNAMIS THAT WILL BE SEEN ACROSS THE GLOBE. DAUGHTER WATCH! FOR HEAVEN IS NOW INVADING THE EARTH, WATCH! FOR BEHOLD, I AM PUTTING MY FOOT DOWN UPON THE NATIONS AND THE EARTH WILL SHAKE, SHIFT AND TREMBLE BEFORE ME, YES! WATCH! FOR NOW MY FOOT COMES DOWN UPON THE NATIONS TO CRUSH THE HEAD OF THE SERPENT SPIRIT”! 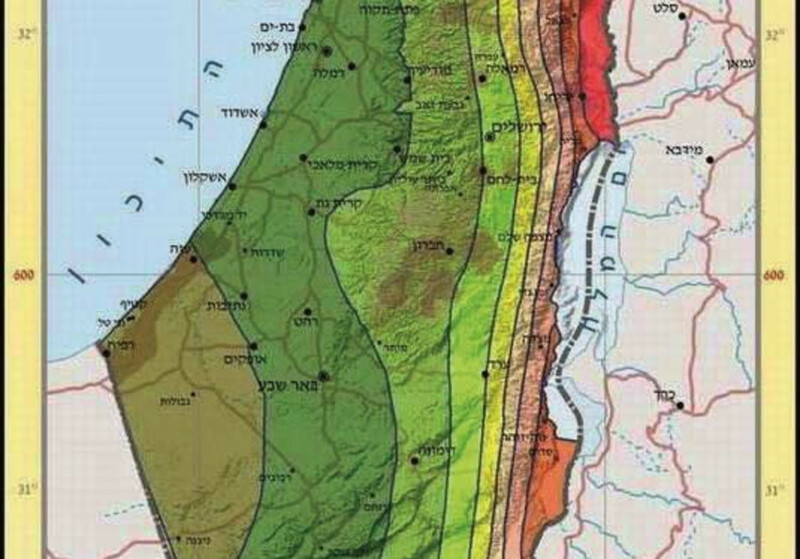 ‘An earthquake measuring 3.7 on the Richter scale was felt in the area of the Sea of Galilee according to the Geophysical Institute of Israel on Friday at 11:52. At first, the earthquake was estimated to measure 4.2 but these reports were later corrected. To ‘watchers’, demonstrations across Israel on 22nd July by lgbt people in protest against not being able to have surrogate parenting is significant, not as they’d suppose but because of their timing. The marches ‘coincided’ with the most solemn day in the Jewish calendar: Tisha B’Av, 9th day of the month of Av, upon which both the first and second Temples were destroyed, although separated by almost five hundred years. No wonder the land has now been shaking for days! That is, the satanic spirit that usurped the symbolism and meaning of the rainbow, in connection with God’s covenant made after the Flood, has perverted it to a corrupt meaning. Nevertheless, it well serves to confirm the accuracy and application of Jesus’ likening these End-times to “the Days of Noah”! Thus, I’m reminded of my mini-series of insights into global satanic strategy. SO maybe the Lord is starting to show His displeasure at such unrighteousness! I’d left the above news unpublished, and referring to it as a fulfilled prophecy is rather premature plus the fact ‘quakes are not so unusual – then came ‘biggies’ in Indonesia! ‘Sixty-nine earthquakes, including 16 tremors registering 4.5 or above on the Richter scale, recently hit the area, according to the U.S. Geological Survey (USGS), which recorded the events but did not issue a warning. Note: USGS map of significant worldwide quakes currently lists 19 in past 30 days but the media report refers to all those which were recorded, ie including minor tremors. This entry was posted in News, Prophetic and tagged Days of Noah, Prophecy-fulfilled, The Shaking, V_West by Richard Barker. Bookmark the permalink. I’d be interested in any results Patrizia as I only had time for a quick visit to USGS without being able to interrogate their data in view of my major outdoor maintenance work. You may like to note Tim’s comment. In view of holiday time, can you copy-paste links to specific ones pls? Go to YouTube and put his name u will find a treasure chest. Chuck Missler. Start with 24 hours basic Bible study. Very interesting then many videos I have some on my blog just search by putting his name. I m now every few days posting 24 hours to learn the Bible. He has so much and just passed away in June. It is worth to just take your Bible and check if u need to check. Chuck made me a better Christian. So much history science etc. Please let me know what you think. There was a 6.2 earthquake off the coast of Oregon yesterday. I have been here for a couple of weeks in northeastern California near the Nevada border: no earthquakes, but a lot of smoke this past month because of forest fires just west of here. Last night, as I slept in the camper, I had a very vivid dream concerning the destruction of Las Vegas. I am guessing that an hour or so before this dream, I was attacked by Satan as I was sleeping. I was dreaming and in the dream I was walking down this street when all of a sudden I was tackled and thrown to the ground by a powerful, unseen force. This force or evil presence threw me down and beat me up pretty good—it even tried to pull the hair off of my head. When I woke up, I was still paralyzed by this evil presence and it was beating me up—the pain was real. The evil presence finally left and I went back to sleep. Later on that night I had another dream and in this dream I was in a city square with hills all around it. It looked like a European city during the Middle Ages. There were many people in the city square. I was walking around with several friends. Then I saw the Pope (he looked like Pope Benedict—the present Pope) dressed in a white robe and wearing a white cap. My friends and myself walked up to the Pope and I told him that Las Vegas was going to be destroyed. Then the Pope got this surprised look on his face and started to point at my friends and me and said, “I haven’t seen you in church (which meant they didn’t go to a Roman Catholic church).” I then rebuked the Pope and told him that these people go to Christian churches. The Pope then got all bent out of shape and walked away. I walked away from the city square and the crowds of people and walked to the top of this hill overlooking the city. I looked in the direction of Las Vegas (it was on the side of the hill just opposite of where I was at) and all of a sudden the ground began to rumble and shake. I looked at Las Vegas as the earthquake swallowed it up. The cities and towns next to Las Vegas weren’t even touched. When Las Vegas was destroyed, it looked like a piece of a jigsaw puzzle was removed and shoved underneath the rest of the puzzle. Then these huge rocks fell from heaven and pummeled the ground where Las Vegas used to be. I then raised my right arm in triumph and shouted, “Praise the Lord! Las Vegas is destroyed! Las Vegas is destroyed! Thank you, Lord! Las Vegas is destroyed! Las Vegas is destroyed!” Then the dream ended. V interesting combination of Rome and Vegas! Have just read first part of Bill Salus & Nathan Jones on ‘Mystery Babylon’.